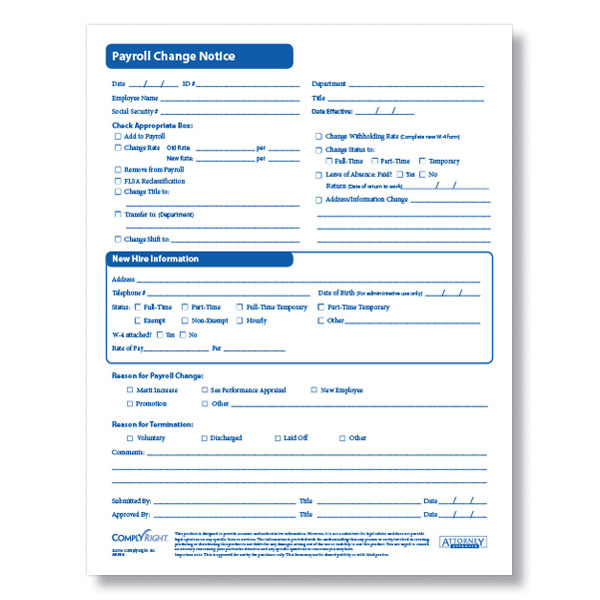 Easily track changes to an employee's pay and status including payroll job title and withholding rate with our Employee Payroll Change Form. Plus it provides legal documentation in case of any disputes. You are required by various state and federal laws to retain your employee records for a certain amount of time — depending on the kind of record and how it was used. 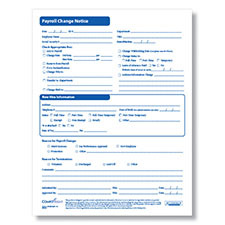 Under federal law, payroll records must be retained for at least three years, and records relating to hiring, discipline and termination must be retained for at least one year from the date created or the relevant personnel action, whichever is later.